So, how did this pivot into documentaries from time-lapse begin? I like watching documentaries because of their inherent educational aspects. I’ve also been wanting to try my hand at directing since I was in my 30’s. 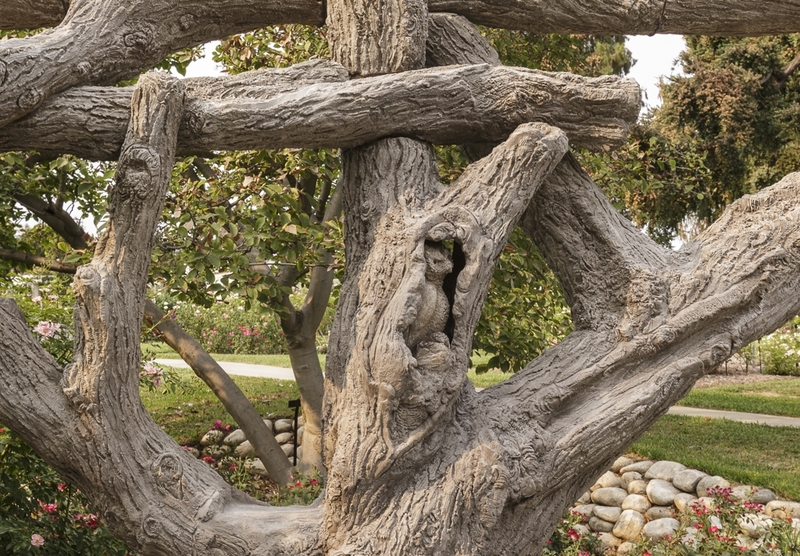 My collaboration with the Huntington Library and Botanical Gardens began in 2011. Since then, I’ve directed and produced eleven time-lapse films for them. Terry and I met at a mutual friends New Years Eve party in 2011. We’re both self-employed artist contractors so it was an easy acquaintance. We talked about shooting time-lapses of his work. Terry wanted a video. I shied away from this idea because the expertise necessary to properly record and edit sound did not appeal to me. Plus the time required to review all the video. Just not into that at all. Didn’t have the experience nor did I care to try my. I demurred. Hell, it scared me a bit. So we prepared for a 6 week shoot and a 4 week edit. And it was time-lapse only. Awesome. On the second day of filming, Jim stopped by to give us a good send off and to inquire if I was going to get video footage of the sculpting process because that footage would be well-suited for his needs. Surprised by the request, I said, “Sure, no problem!” The timeline blew up at that point. Now, due to the need to shoot video and time-lapse to develop the story, the 10 week schedule was not going to hold. To his credit, Jim agreed to revise our budget. 6 weeks of filming turned into 7 months. 243 hours of labor. 4 weeks of editing tuned into 11 months. 489 hours of labor. But we got a way cool film out of it! Hope you can spare 26 minutes to watch. Grab a cup of joe and take it all in. This entry was posted in Business and tagged documentary film, faux bois, French Decorative Arts, Henry Huntington, Huntington Gardens, Huntington Library, time-lapse, video.